Candy manufacturers and confectioners are in a sweet spot when it comes to marketing their products. Nearly everybody loves a treat! But even with a product as high in demand as sweets, candy packaging is vital to making a product successful in a competitive marketplace. Attractive and functional are the watchwords of the day when it comes to candy packaging, and of course ease of access on the consumer end is paramount as well. The right packaging should be eye catching, easy for retail outlets to stock and above all consumer friendly. Candy manufacturers have a long tradition of aggressive marketing, and matching the right packaging model to the product is a large part of any confectioners success. There are many different techniques to consider in the packaging and marketing of candies and confections. The final packaging decision will be largely determined by the type and quantity of candy being processed. 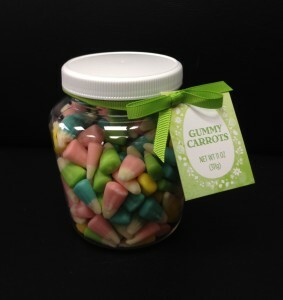 For example, hard candies generally go through both a primary and secondary packaging process. Initially, each piece of candy is packaged individually. For hard candies such as mints or jawbreakers, a double twist wrap or an airtight horizontal flow wrap is commonly used. This completes the primary packaging process. The secondary packaging process takes these individually wrapped hard candies, and puts them through a supplementary bagging process making them ready for retail sale. Manufacturers looking to give their product a more upscale look, may choose a bag in box packaging model for their higher end candies. This gives the product a more distinctive and exclusive look when it takes it’s place on the retail shelf. Jelly based candies, such as gummy bears, jelly beans, or glazed fruit slices, require different packaging techniques. For individual sale, cello wrapping, horizontal fill and seal, or twist wrappers perform best. These models are used primarily for larger, single serving candies, and have long been a go to design solution for candy manufacturers. These packaging techniques make the product easy to stock at the retail end, and are convenient and easy to use for the consumer. Candy bars, lollipops and larger novelty sweets benefit most from these packaging models. Traditionally, bagging has been the most popular method of packaging for sweets like gummy bears and jelly beans. This method can be employed as either a primary or secondary packaging process. When used as the primary method of packaging, plain or printed bags are filled with the product directly. Once sealed they are packed for shipment and ready for retail sale. Bagging as a secondary packaging technique allows manufacturers to market single servings, or fun packs, by filling retail ready bags with pre-portioned individual pouches of candy. Often this technique is used for holiday marketing, most notably during Halloween and the festive seasons. Candy manufacturers who are considering using a contract packaging company for their product fulfillment need to now they can rely on the firms ability to complete the project efficiently, professionally and to the highest industry standards. Particularly where primary or secondary packaging of food stuff is involved, it is vital that the contract packaging firm is FDA certified for the safe handling of consumer ready food products. Assemblies Unlimited offers candy manufacturers and confectioners food certified facilities operated by employees with years of experience in contract packaging services. Assemblies Unlimited is prepared to take your raw product from first wrap to retail ready package efficiently, affordably, and with the professional expertise you expect in a business partner. Click the “Request a Quote” button to get started with your candy packaging project. Food Packaging and Date Code Labels – Why Are They Used?